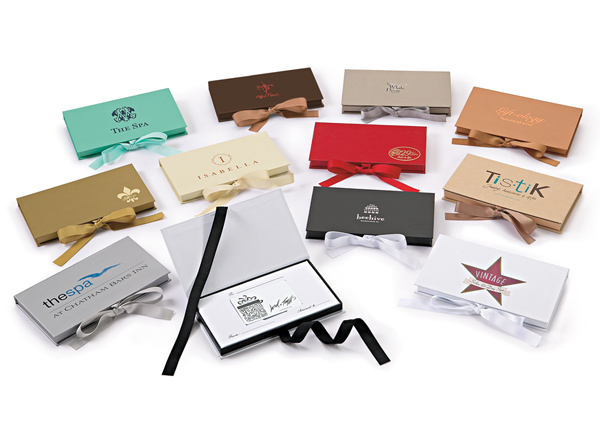 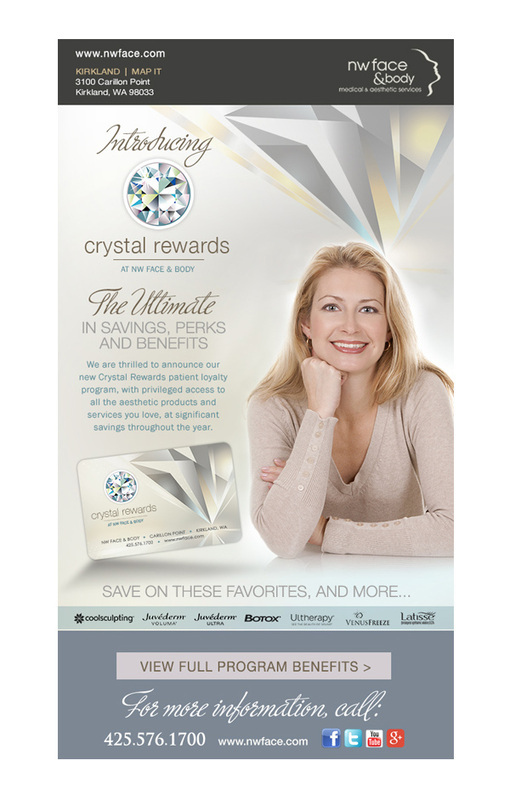 Turnkey Aesthetic Patient Loyalty program design and launch. 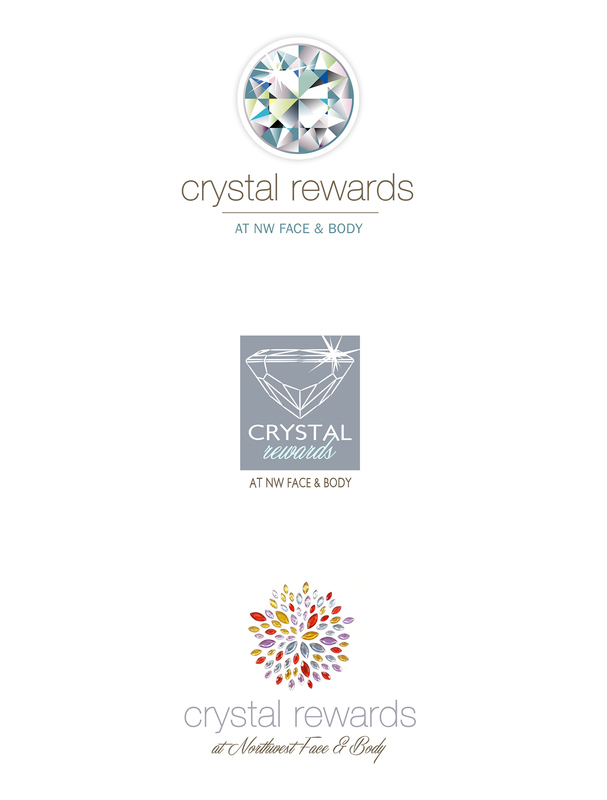 PROJECT 10: In a 2-week series of new work to celebrate surpassing 10,000 views on Behance. 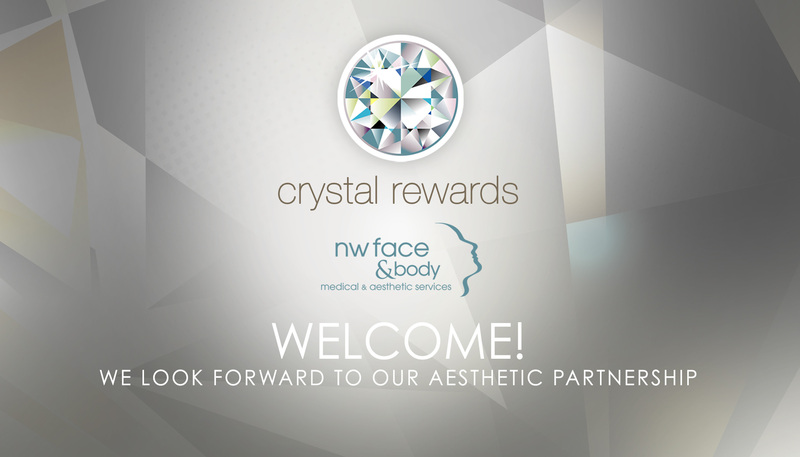 NW Face & Body is a multi-specialty group practice in Carillon Point, WA -- a very afflunent neigborhood near Seattle. 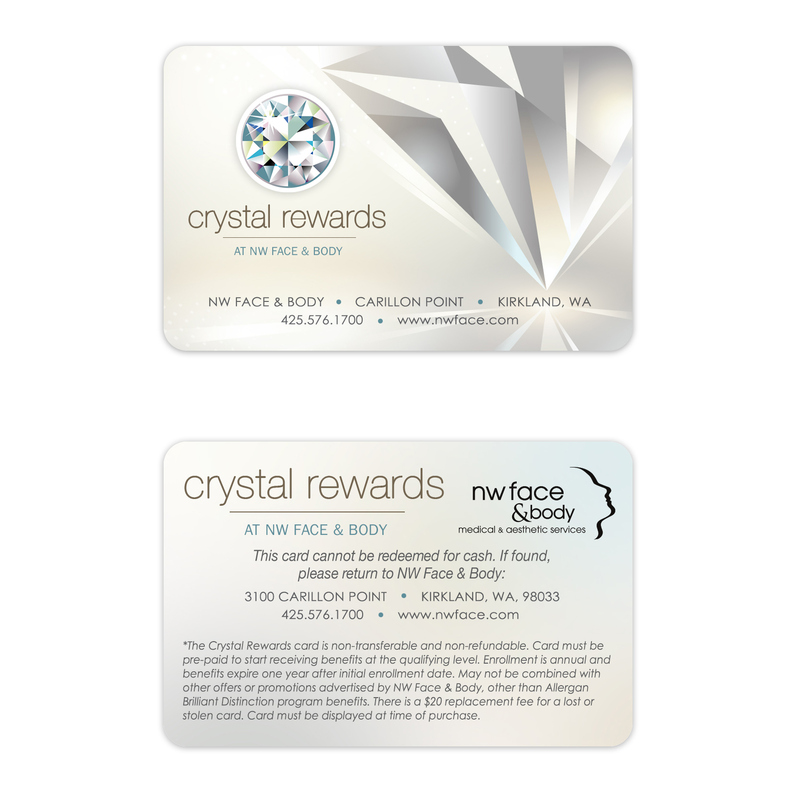 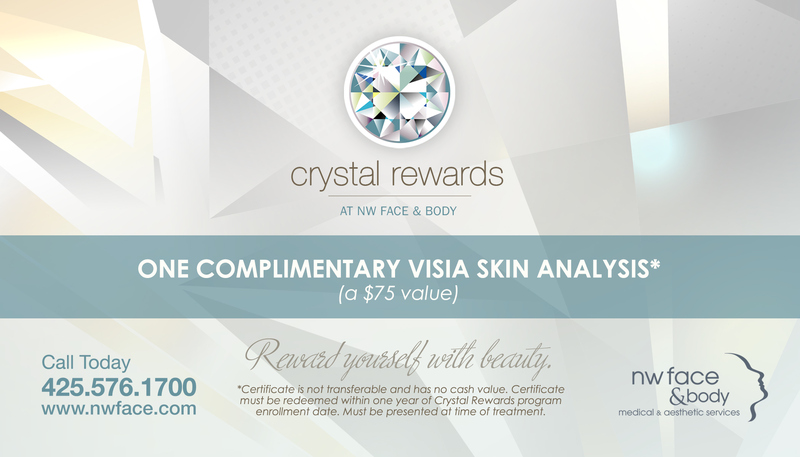 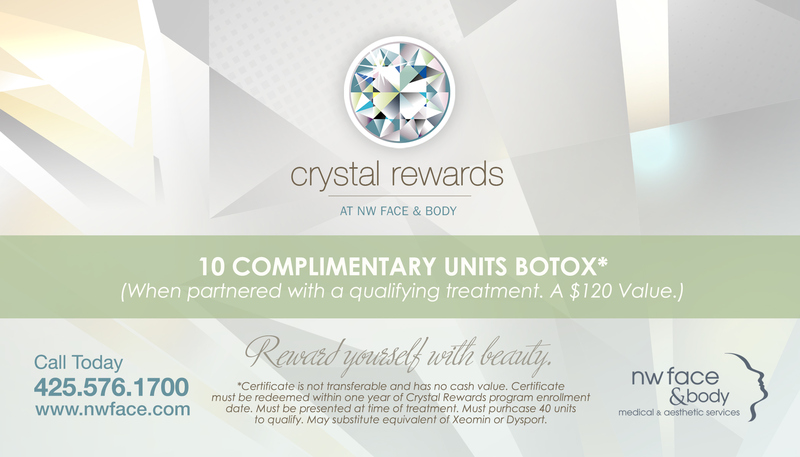 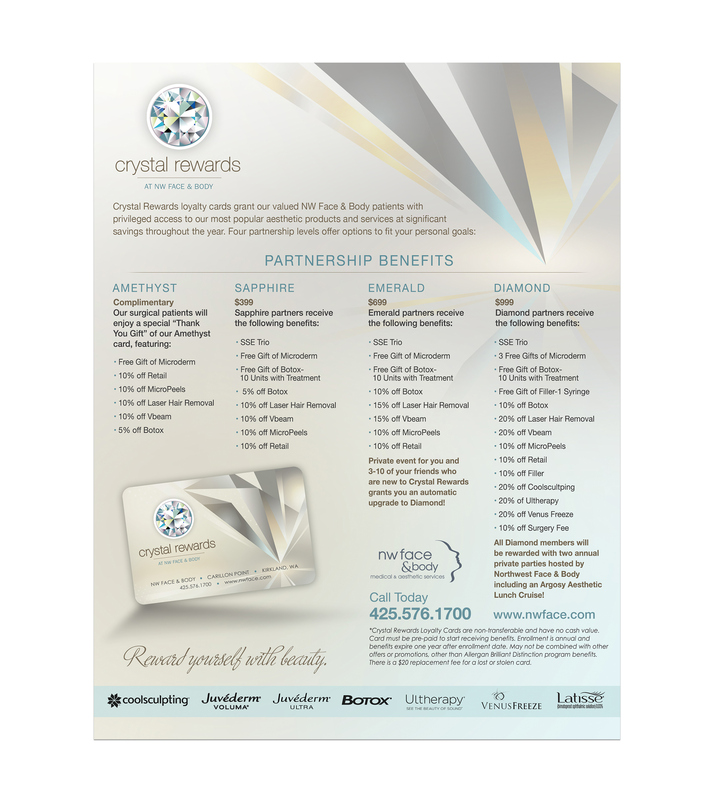 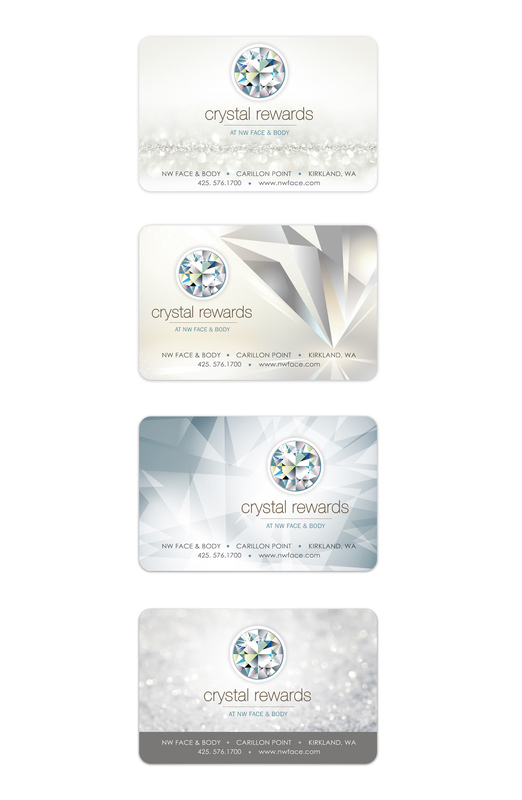 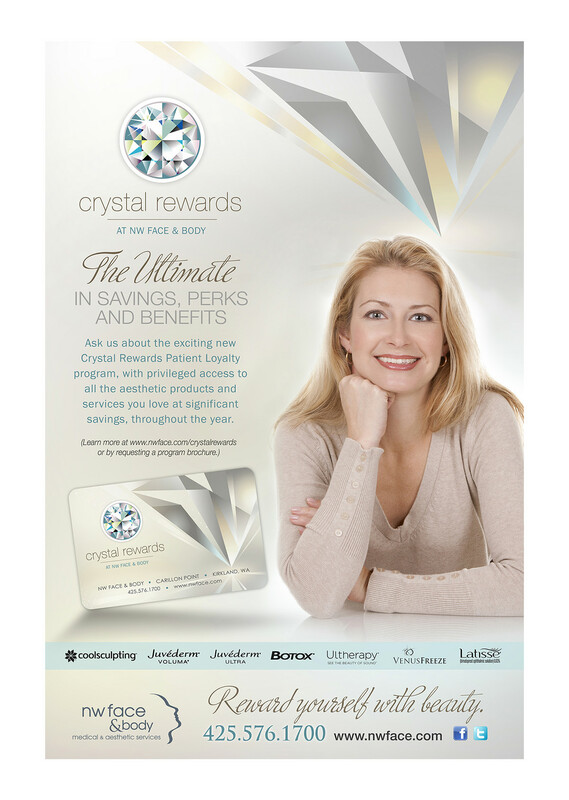 Crystal Rewards is their new patient loyalty program just launching this month. 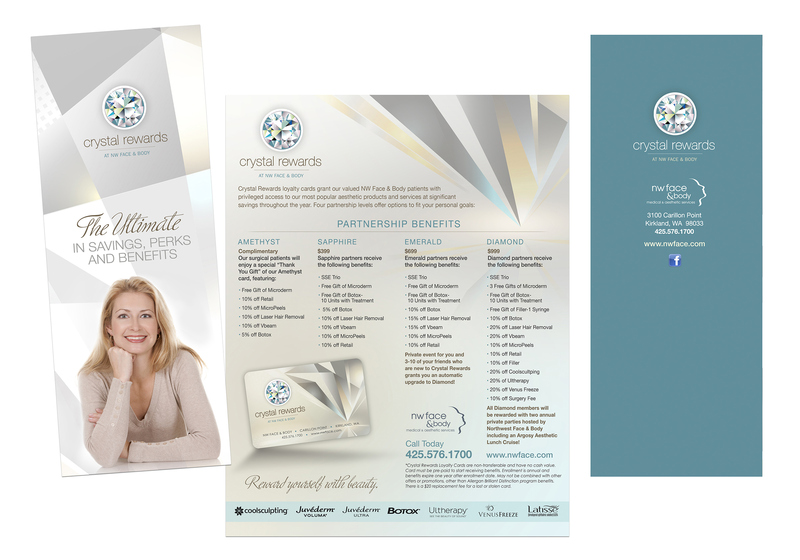 In partnership with their consulting and web company, Strategic Edge Partners, Pinpoint executed the branding, art direction, design and writing for the elements and deliverables of this program.